Ben’s Bus operates a Grenoble Airport to Bourg St Maurice ski transfer service on Saturdays & Sunday mornings during the 2018 / 2019 ski season. At other times you can catch the airport shuttle bus to Grenoble centre and then catch onward transport. Bourg St Maurice is a town at the bottom of the mountain and the transport hub for the ski resorts of the Espace Killy, Les Arcs & La Rosiere. 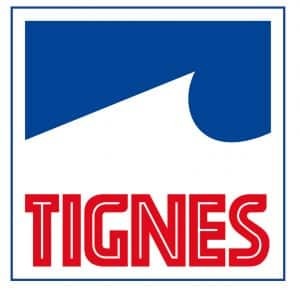 If you are flying into Grenoble Airport and you need to get to Val d’Isere, Tignes or St Foy, we probably have a bus that will take you all the way there. Please click the relevant link below for more information. If you are heading to, Les Arcs or La Rosiere, then please scroll further down this page so you can see the information on our service from Grenoble Airport to Bourg St Maurice. The transport connections from Bourg St Maurice are very good. More details about this can be found further down this page, under the section “Onward Transport from Bourg St Maurice“. Or you can find the resort you are going to on our menu at the top of this page. We have been operating our ski transfers from Grenoble Airport to Bourg St Maurice for 6 years now and are the Number 1 transport provider on this route. 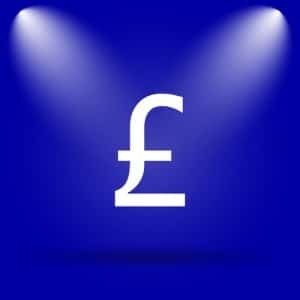 We offer the cheapest shared transfers on the market whilst still offering a fantastic level of service. 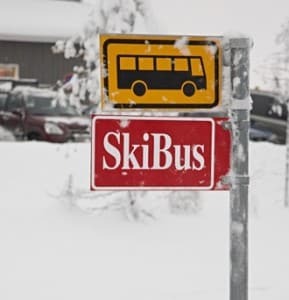 Our ski transfers buses are regular and timely and we have many staff to help your journey go as smoothly as possible. Our prices from Grenoble Airport to Bourg St Maurice are £81pp Return and £46pp for a Single. With some great discounts for groups, you could be paying as little as £67.50pp Return. We also offer a 10% discount for children under 12. We cannot find a cheaper way of getting from Grenoble Airport to Bourg St Maurice. Click this link if you wish to Book Now or receive an Instant Quote for your group. If you cannot find the information you are looking for below, we may have it on our Bourg St Maurice Airport Ski Transfers page, our Grenoble Airport Ski Transfer Questions page. We also have airport buses to Bourg St Maurice from Geneva Airport & Lyon Airport. Please note that our last Saturday bus departs Grenoble Airport at 18:55. Sundays: Every Sunday morning from the 16th December 2018 until the 7th April 2019. If you are on a flight that does not land in the morning, please follow the advice for Weekdays below. Weekdays: We do not operate this service on weekdays. We would recommend taking the shuttle bus service from Grenoble Airport to Grenoble city centre. From Grenoble you can take a train to Bourg St Maurice with SNCF, or check out Altibus for details on public buses. Alternatively, you could book a private transfer from Grenoble Airport with Actibus. Click to Get A Quote and all fees, charges and discounts will be applied automatically. 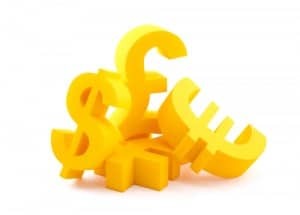 If you are making your booking from outside the EU and you decide to pay by Credit Card, a further 2.5% fee will be added to the ‘Final Price’. Groups of 6 or more people receive 1 seat for free. 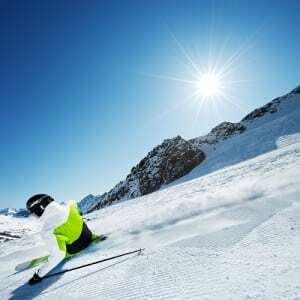 For a full list of our prices to all the ski resorts we cover, please visit our prices page. 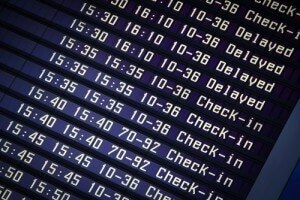 Our bus timetable works around the flight arrivals and departures so you never have to wait long. The easiest way to find the bus time that connects with your flight is to put your details into our Instant Quote form. Once you have selected your dates, the next page will show the price for your group and a list of all flights and our ski transfer bus times. Please note that our last bus on Saturday evening departs Grenoble Airport at 18:55. On Sundays, we only operate a morning service. At all other times you can buy tickets for the service to Grenoble city centre and from there you can take public transport to and from Bourg St Maurice. The transfer time between Grenoble Airport and Bourg St Maurice is usually between 2 hours 45 minutes and 3 hours 15 minutes, covering a distance of 183 km. Please note that the above times are approximations. We allow extra time on certain dates & certain times of the day when we know the traffic may be bad. With years of experience driving this route, we know exactly how long to allow for the journey depending on the time and date of the transfer. Once you put your details into our online booking system, we will show you a list of the available buses. When you arrive at Bourg St Maurice you have a variety of transport options to get you to your final destination, including trains, taxis, funicular trains and public buses. To see detailed information on these different options, please visit our Bourg St Maurice page and expand the section at the bottom, “ONWARD TRANSPORT FROM BOURG ST MAURICE“. Don’t Forget! Ben’s Bus runs services from its airports to most of the ski resorts close to Bourg St Maurice. Click on the correct airport above to see if we service the resort that interests you. 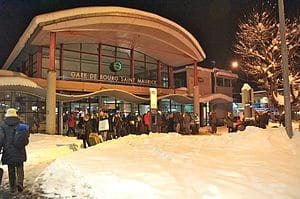 We will drop you off at and pick you up from Bay Number 15 of the main bus station in Bourg St Maurice, the “Gare Routiere”. This is the bus and train station of Bourg St Maurice. We do ask our customers to keep an eye out for our vehicles as the bus station can get very busy and it is not always possible to park at Bay Number 15. Look out for a bus with “Ben’s Bus – Grenoble Airport” in the window. If you are delayed, we will wait for you but we may not be able to hold our bus for longer than 15 minutes after its scheduled departure time. After that we will do everything we can to get you on our next available ski transfer bus at no extra cost. Our team at the airport monitor flight arrivals so you don’t need to contact us if you are delayed. Our team will be busy juggling buses around to try to accommodate you on another service – or we may be holding the bus back. We have many buses going back and forth each day and our record for getting people to resort is extremely good. We typically use large coaches which are more environmentally friendly. Please note that very infrequently, our transfers from Grenoble Airport may require a stop at Moutiers, where you may need to change over to another feeder coach. Our reps and / or drivers will help you with this and we will try and keep this inconvenience to a minimum. We’ve selected some partners to bring you the best of the extras you might need for your ski trip. And we’ll save you money! Bourg St Maurice is a large town and the bus station is located near the centre, on the main road the goes through the town. It sits right next to the train station and together they are known as the “Gare Routiere”. We usually pick up and drop off at Bay No 15. However, we may pick up from a different bay number so please be alert for any vehicle with a Ben’s Bus sign in the windscreen. Please note that our bus information will not appear on the TV screens in the waiting area. However, our buses will have a sign “Ben’s Bus – Grenoble Airport” in the windscreen. Ask a driver if you are unsure. Bourg St Maurice is the transport hub for the region and has excellent transport links to the surrounding ski resorts. The local buses are run mostly by Autocars Martin. The train station has high speed trains (TGV) and regional trains to make connections to many cities and towns in France and Europe. Check out the SNCF website for train information. There is a large taxi rank outside the bus station with usually many taxis waiting there. Bourg St Maurice has many shops, supermarkets, cafes and restaurants, souvenir shops, a post office, banks, petrol stations, large sports shops and a McDonalds.